So Halloween is pretty much my favorite. I love the change in weather, crisp air, leaves changing colors all around us and all the spooky stuff you can imagine! We get really excited for Halloween around here and the kids love getting into the spirit with trips to the Halloween store and scary aisles in the stores where they press every button on every piece of decor and get scared (in a good way) and go running out of the aisle…over and over again. We decorate pumpkins and trick or treat…TWICE! Once in our downtown area that is always on a Saturday in the morning, which is nice, but it’s also raining EVERY year, but we endure and love every minute of it! Then we trick or treat on Halloween night in another area, which is again, seemingly ALWAYS rainy, it never dampens our spirits though, because we just can’t get enough! 31 days of pumpkins, bats and everything orange and black…scary movies like Hocus Pocus and Nightmare Before Christmas while snuggled under cozy blankets with the wind blowing outside and our other favorite tradition…HALLOWEEN PAJAMAS! Every year I search high and low for the perfect Halloween pj’s for the kids, but this year I was having trouble finding ones I really loved. Until I had the opportunity to collaborate with SleepyHeads Pajamas and they sent over these adorable Dia De Los Muertos matching pajamas for the kids! I’m obsessed with these and they’re so thick and soft! They love the skeleton pattern and Arlo says “mommy, do you see my bones? !” The added pattern that reminds me of the movie Coco and the beautiful traditions of the Day of the Dead in Mexico and beyond where the loved ones who’ve passed are celebrated and remembered. Halloween doesn’t always have to be scary, it can be fun and celebrated in ways with meaning like so many other holidays. It’s one that can be difficul to navigate for us with two kids who have food allergies, making the candy aspect a little sad. We always try and get treats that the kids can eat safely, but having other traditions, like fun pj’s, that aren’t part of their dietary restrictions, give them other ways to get excited about Halloween! SleepyHead and I are also super excited to be giving some pj’s away! You can enter via my instagram post, by following both SleepyHeads and I and tagging three friends under the post featuring the pajamas. 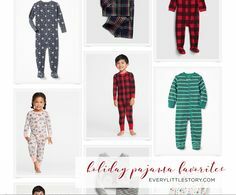 You can win up to four pairs of matching kids’ pajamas! Find more info on instagram where the giveaway will be live until Wednesday evening, when I’ll be picking a winner! What are some of your favorite Halloween traditions?! Who doesn’t love a cool watch?! I know I do…I have always been intrigued by clocks, watches and the craftsmanship that goes along with them! Seriously though, haven’t you ever read The Invention of Hugo Cabret?! I thought I’d tell you about this unique watch the kids and I gifted to James from JORD Watches and the best part is, we are hosting a giveaway and the lucky winner can win $100 towards their own JORD watch! It’s the perfect addition to your spring wardrobe too! Most of my time these days is spent with my little tribe of a family. Often times it’s routine, mundane even…but it’s our time and I often remind myself that these little moments, even ones of stress or frustration, will soon fade away into memories. My goal is to be more present in the here and now and focus less on past or future. I was so excited when I opened up the package and saw this amazing wooden box with a J engraved into it! Obviously for JORD, but so perfect for James! The box itself also has a little drawer on the bottom too. Their attention to detail is enviable. It has a magnetic lid and will definitely be an heirloom for years to come! Onto the GIVEAWAY! We want to help you own one of these unique watches too! Enter to win a $100 OFF gift code on a watch of your choice…(these make great Father’s Day or Mother’s Day gifts too, so keep that in mind)…Simply click the link below to enter! You’ll receive a $25 OFF gift code JUST for entering too! But I also believe in logic, realism and common sense and I think it’s important to teach children about ‘real life’ heroes and idols. Keep them grounded by reality, but also let them know you can be anything you dream to be if you have to motivation to try. I want my kids to always remember that it’s cool to be smart AND creative. One such person I’ve always looked up to was Albert Einstein. An absolute genius of a man, but someone who also embraced creativity and possibility of the unknown. Modern physics has been built upon his theory of relativity, most of which I can’t even begin to understand, but he was also a lover of music, the arts and a member of the NAACP who supported the fight against racism and fought for civil rights for African Americans. He changed the world of science and, in my opinion, changed the way we see and understand the universe. So it’s no surprise I simply adore this tee from Wee Rascals. Lark loves it too and even knows his name and asks for her Einstein shirt. Even when she was sick this past week it wasn’t her snow princess pj’s she asked for, it was her Einstein shirt that she chose to pair with her rainbow pants. For an extra entry, leave a comment here telling me which shirt you’d choose and why, because I’d love to know! At any rate, we are out of January and I always feel revitalized with the change into February. It’s like I can already feel spring on the horizon! Obviously my customizable jewelry from KEEP Collective is a staple. I know you’re not surprised to see it mentioned here, but hey, I love it! My rose gold options and my shiny metals are giving me life and hope for brighter days soon! Plus I love that I can mix and match with so many options every day! Shown here are my mini pendant with a couple of current favorite charms, my Timekey on my rose gold leather keeper, and my mesh keepers with two of my favorite stones of the moment, the pink quartz and the jasper. I’m also obsessed with this roller ball from Victoria’s Secret in their Heavenly scent. It was a total impulse buy at the last minute to get me a cash rewards card. You know, spend more just so you can get a coupon…makes total sense, right?! 😉 But I’ve actually been wearing nonstop! It’s fresh and sweet, but not overly so…and I love the ease and convenience of roller ball applicators. I couldn’t write this post without mentioning my new phone case! I actually found it on eBay and y’all know I’m snow white-obsessed! Lark is pretty smitten with it too! And lastly, my new glasses, courtesy of firmoo.com! I absolutely love Firmoo! Their eyewear is affordable and there are TONS of frames to pick from. My favorite sunglasses are also from Firmoo! I like interesting, but not crazy wild frames, and these tortoise cat-eye frames are so perfect. I also love the added detail of the white pinstripe on the edge of the frames. My kids love them too and like to rip them off my face, but luckily they’re durable, and with the price, they’re easy to replace should something happen to them. These glasses, with my prescription, come in at less than $50. I’ve always struggled with purchasing glasses because the brand name lenses are beyond expensive and never in my budget. With a service like Firmoo, I can have multiple pairs! I also love that the anti-scratch and UV coatings are an option, as well as tinted lenses, etc for a VERY nominal fee. And because Firmoo is so awesome, I’m giving a pair away to one of my readers! Leave a comment below telling me your favorite accessory of the moment to be entered to win! For an extra entry, comment on my instagram post about this giveaway letting me know you commented on the blog (and follow me, if you’d like! @hellokatiejo) I’ll be announcing a winner a week from today on February 9th! OUR WINNER IS KATE S.!!! Congrats Kate! I’ll be emailing you with more info!